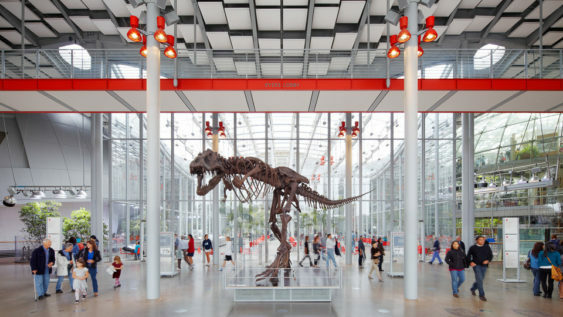 The California Academy of Sciences is a world-class scientific and cultural institution in a 400,000 square foot structure in Golden Gate Park that houses an aquarium, a planetarium, a natural history museum and a four-story rainforest all under a living roof. 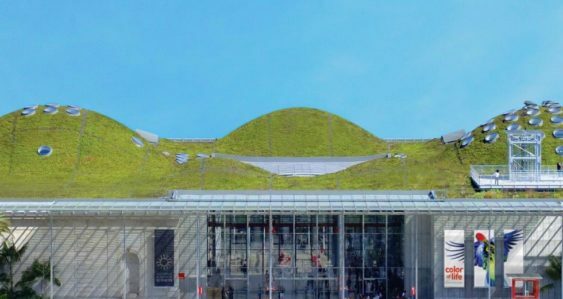 Starting in fall 2018 to celebrate the building’s 10th anniversary, the museum is switching from quarterly free days to have biannual Community Free Days featuring 3 days of free admission for all, but with reservations and timed tickets which are required to help with the crowding issues that sometimes plagued the quarterly free days. Hours: Sunday 11 am to 5 pm; Monday and Tuesday 9:30 am to 5 pm. Please note that final entry to the museum is one hour before closing. 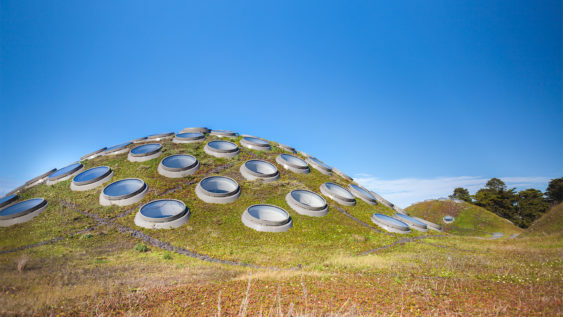 Hours may change seasonally, so always check calacademy.org/visit for the latest hours of operation. Instead of quarterly free days which were kind of a free-for-all with long lines, the museum is switching to a biannual 3-day weekend of free admission with advanced timed tickets required. This will help manage the crowds and hopefully make for a better experience for everyone. This is open to everyone, not just people who live in specific neighborhoods in San Francisco like Neighborhood Free Weekends. The reservation system will be live starting 10 am on September 7 through September 14 (or until tickets are sold out). Get notified when free tickets are released. I don’t live in San Francisco. Can I still come? Yes, Community Free Days are open to anyone with a reserved free ticket. Why do I have to reserve tickets online? Free days are some of their busiest days. In order to reduce lines, crowding, and wait times at the museum—and allow visitors to better plan and enjoy their day—they’ve implemented a reserved, timed ticket entry system to help improve your overall free day experience at the Academy. When can I reserve my tickets? Free tickets may be reserved via Queue-It, their online ticket reservations queue, starting at 10 am on Friday, September 7, and continuing through Friday, September 14, or until they sell out. From September 8-14, the online queue will be open between 5 am and 11 pm each day. They will be releasing new batches of tickets each day to ensure they do not sell out instantly. If your preferred time is not available, select another time, or enter the queue again the following day. What if I show up early/late for my time slot? In order to reduce lines and make timely entry possible for all free day visitors, they’ve introduced timed ticket entry for Community Free Days and strongly recommend arriving at your designated ticket time. If you arrive early, you may have to wait until your designated entry time based on building capacity. If you arrive after your designated entry time, they will try their best to get you into the museum as promptly as possible, but please note there may be an entry queue. If I don’t reserve a ticket, can I still visit for free? You are not guaranteed entry if you do not reserve a ticket in advance. When are the next Community Free Days? Sign up to receive occasional emails about upcoming free days at the Academy. Can school and youth groups visit during Community Free Days? Yes. However, due to expected heavy attendance, reservations will limited to select entry times on Monday, September 24, and Tuesday, September 25, 2018, and selected at random. How to enter the Field Trip Lottery (Educators only).